Happy Monday and welcome back to the blog! I know it’s been quiet around here lately but life has taken over. If you want to know more about what has been going on, you can read it in the last post here. Anyways, I’m back and happy so let’s get into some makeup shall we? After the discovery of the Anastasia Beverly Hills Clear Brow Gel (here), I have been much more open to trying high end products when I find a good deal on them. My latest splurge has been the Lancome Hypnose mascara, which normally retails at 33.50€. Thanks to some discounts in the local department store before Christmas, I picked it up for 12.50€ which is the price of a drugstore mascara, a great win! To be honest with you, I had my doubts on whether the product was really worth all that money, but for my best friends it is her holy grail mascara so I wanted to give it a go. First let’s look at the outside, the packaging is sleek, black and elegant with gold detailing the logo and the name of the mascara.I find it really lovely and a nice step up from the bright neon colors of drugstore mascara tubes. The wand itself is made of short bristles and is not too big. And let me tell you, this is a great thing. I have tried many mascaras with huge wands that end up smearing product all over the lash line instead of only the lashes and are to big to maneuver to do the lower or corner lashes. 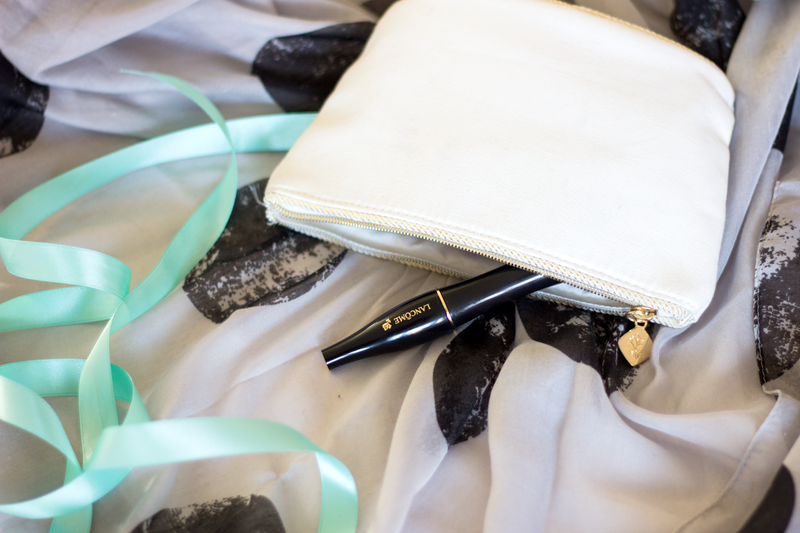 The Lancome Hypnose wand is just the right size for about anyone and doesn’t have spiky bits that will poke you in the eye (yes I’m talking about Benefit They’re Real mascara, ouch!). On to the formula, i found it to be lovely from the beginning, no need to let it dry out. The first coat gives you already nice volume and quite a natural look. If you’re going for something more dramatic (I’m guilty here) you just need to layer is some more to add length and more volume. 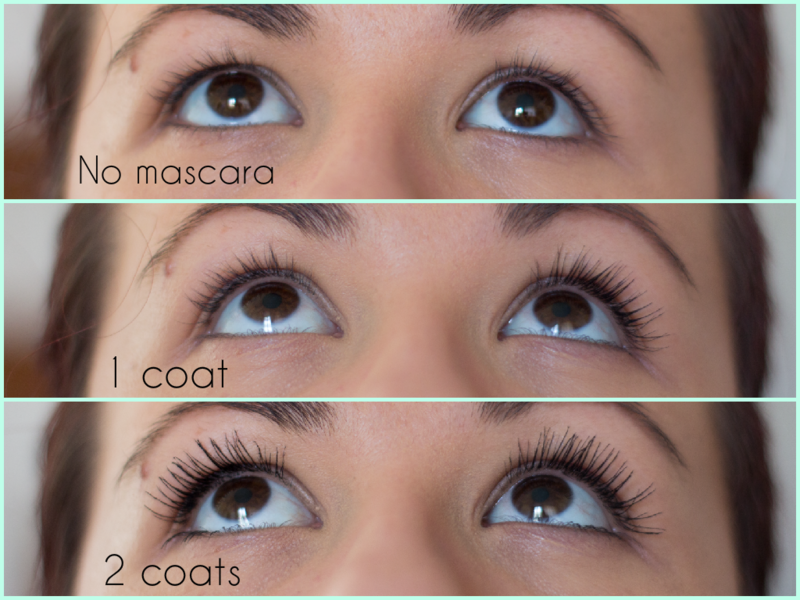 So you can tailor your look with one mascara only, and that saves time in the morning so I’m all for it. This is also one of those mascaras that are not waterproof but can withstand almost anything. Since I commute to work by bicycle every morning with any weather, I have tested it on rainy days and windy days when my eyes water like crazy and the Lancome Hypnose held up to all of it. Even better, it is much easier to take off than waterproof mascaras and my The Body Shop Camomille Cleansing Oil or Garnier Micellar Water both do the job well. Overall I am really impressed with the mascara and I totally understand why you’d want to spend the bucks for it. It has become one of my favorites and I am very sad now that it is at the end of its life. Personally I won’t repurchase until I find another deal on it just because it’s too much money for makeup that lasts me only a couple of months. However, if it’s in your budget, absolutely go for it cause it’s amazing! 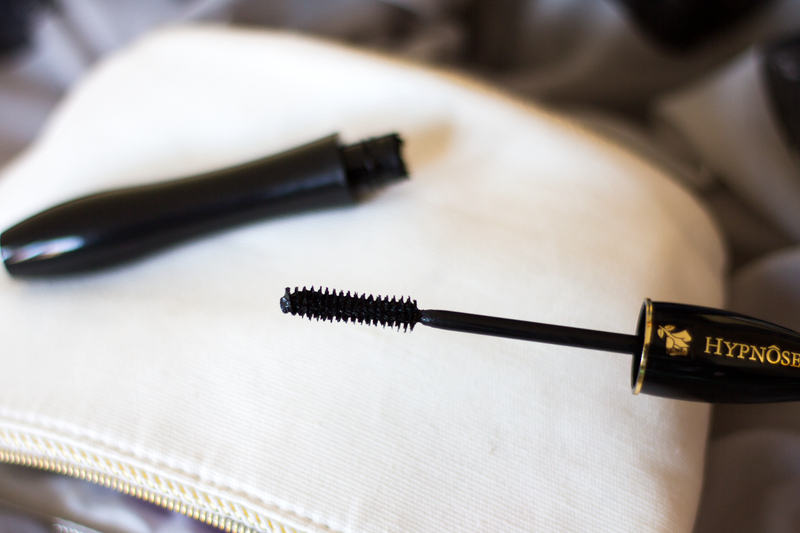 Do you splurge on high end mascaras or is your favorite one from the drugstore? Let me know below in the comments so I can try some more amazing ones!